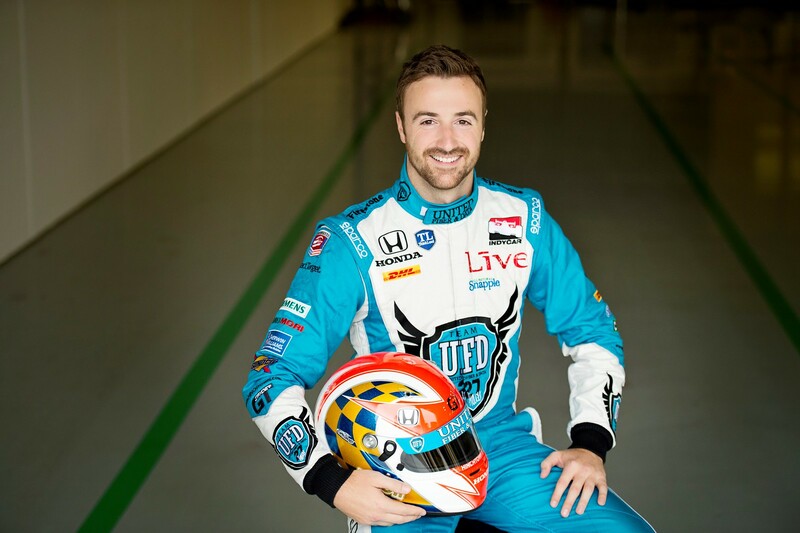 GoRacing Magazine caught up with Andretti Autosport IndyCar driver James Hinchcliffe who pilots the #27 United Fiber & Data Honda in the 2014 Verizon IndyCar Series. We talked about all things racing, from his career in karting to IndyCar and if the Mayor of Hinchtown had any aspirations to jump over into Formula 1. (GoRacingMagazine) Hi James, thank you for taking the time out of your busy schedule to talk to GoRacing Magazine. You started your racing career in karting, how old were you when you got started and how did you get involved in the sport? 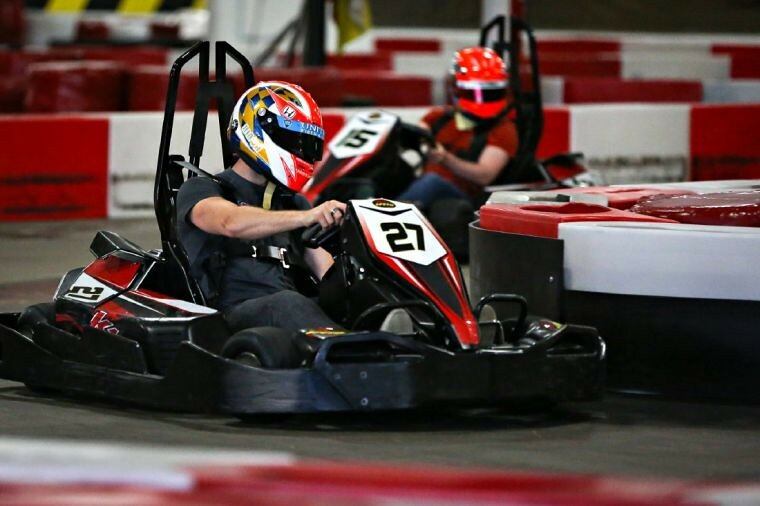 (James Hinchcliffe) I started racing karts at nine. My dad had taken up vintage racing the year before and we had met a guy whose son raced karts. He invited us out to a go kart race one weekend, and that was it. I was hooked. (GRM) You join an impressive list of drivers from Canada; The Villeneuve Family, Greg Moore, Paul Tracy among others, who did you look up to as a kid? (JH) In different ways I looked up to all of them. Jacques was really the first driver I ever cheered for. PT was winning races and the championship when I was really starting to take my career seriously, so I followed him closely, too. But there’s no doubt that Greg was my guy. On track and off I had such a respect for him. (GRM) I always wonder about car numbers and if they hold any significance to the driver. Does #27 have a significance to you? (JH) It does, even though I didn’t pick it! I was given the number by the team who owned it in Indycar racing. But to me, the 27 is Gilles Villeneuve in his Ferrari, it’s Jacques winning the 500, it’s Dario taking his first title and 500 in the same year. That number has a great history and I’m honoured to wear it. (GRM) Among numerous podium finishes, you have also won the Greg Moore Legacy Award and the Tony Renna Rising Star Award, how do those accomplishments differ than race wins? (JH) They differ because a trophy in a race is an acknowledgement of what you can do, but these awards are a reflection of who you are. There is a big difference between being a great driver and a great man. Very few are both. Greg and Tony were both. So to be recognized in that light is hugely rewarding and very humbling. (GRM) You are partnered with Speed Group (speed-group.us), offering drivers and teams a wide range of services from Coaching to Social Media and Marketing. Can you tell us a bit more about Speed Group and your involvement? (JH) Speed Group is the culmination of an idea that Toni Calderon, David Martinez and myself came up with 6 years ago. We basically wanted to create a one stop shop for drivers who want to make a career in racing. This is something I wish was around when I was coming up to help me, advise me, point me in the right direction. Toni, David and I all have different skill sets and different experiences through years in racing that when combined can really help a driver with every aspect of their career. (GRM) We see a lot of driver’s crossing over to other series (ie. Kurt Busch ran the Indy 500 this year). Do you have any aspirations to move to Formula 1? (JH) Honestly, no. 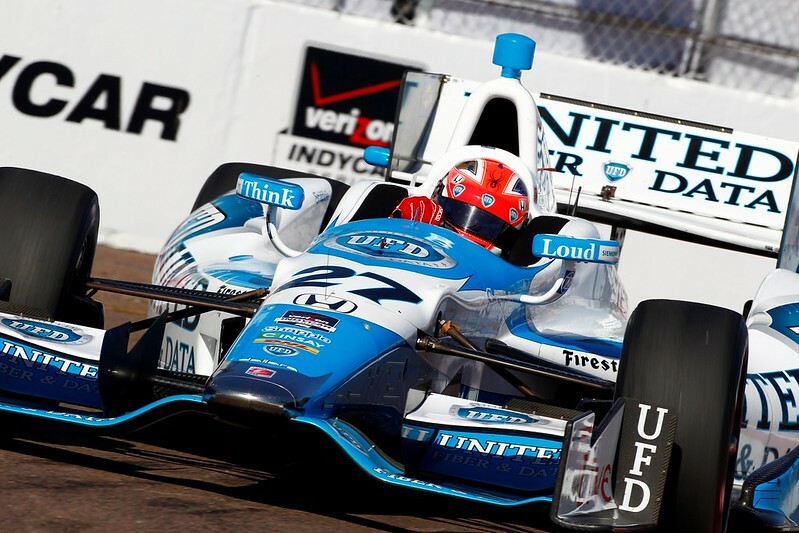 I would love to drive the cars, have a proper test day, but I love racing Indycars. My career is here. It would be too difficult and too late to attempt a move now. I’ll never say never, but it’s definitely not something I am chasing. (GRM) Getting back to karting, what was your biggest kart race win? (JH) Tough question! This is going to sound weird, but I didn’t win a lot of big karting races. I won a bunch of races, but none of the crown jewel events. Part of the problem was I didn’t do as much karting as a lot of the kids I was racing against at the time. My parents put a lot of emphasis on school and I couldn’t take that kind of time off. (GRM) During your karting career, did you have most of your racing sponsorship come to you, or did you have to go out and seek sponsorship? (JH) We had to go out and find every penny. Sponsorship doesn’t come to you. Ever. You have to work hard and be better at finding it than other guys. It’s as much a race off the track as it is on it. (GRM) Can you share with our GoRacing Magazine readers and those making their way thru the karting ranks any words of wisdom or advice? (JH) It’s simple; work harder and don’t give up! It sounds cheesy and cliché but it’s true. This is a tough sport and a tough business but those that keep pounding and putting in the effort, on track and off, are the ones that will eventually get the breaks. Thank you again, and best of luck this season!